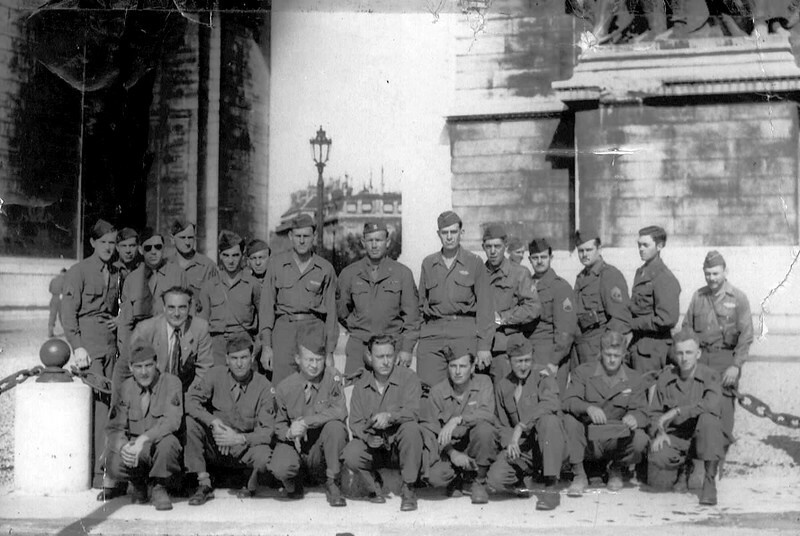 June 1945 at the Arc de Triomphe, Paris, France. A mixed group of GIs in front of the famous Arch de Triumph or Victory Arch. Joe Hewitt is in the center of the back row. Photo shows an interesting mix of rank and unit insignia. I think the guy in civvies on the left is the tour guide. Dad wrote my Mom a letter describing this trip which is quite funny. I'm not sure how he managed to get to Paris from Germany. By the end of the war he was attached to the 347th Regimental headquarters. I seem to remember him telling me the trip had something to do with running an errand for Col. Tupper.